Look no further for athletic style with performance benefits. This women's hoodie serves up adjustable warmth all day. 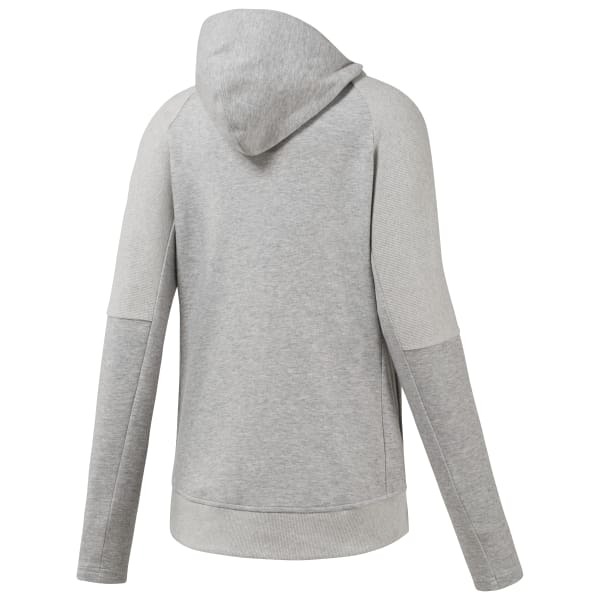 A dropped hem and cozy hood help keep you covered and comfortable. The QUIK Cotton fabric helps deliver moisture-wicking performance with the comfort of cotton.